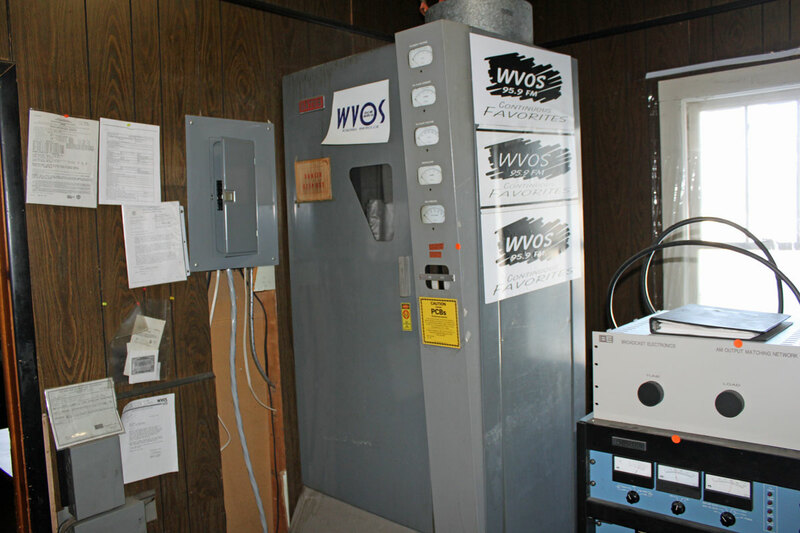 In keeping with the theme “Take pictures now, because someday these stations may disappear,” I was out at WVOS-AM in Liberty, New York today removing some old studio equipment. 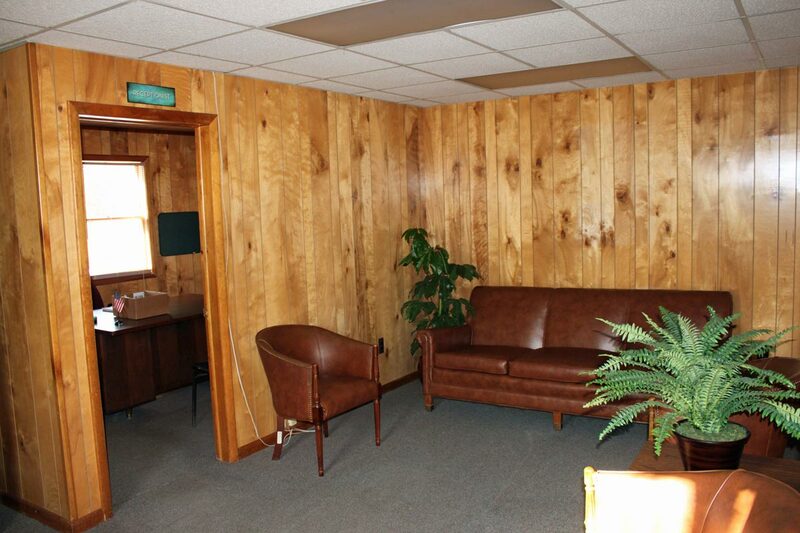 The former studio building is going to be leased out as office space. 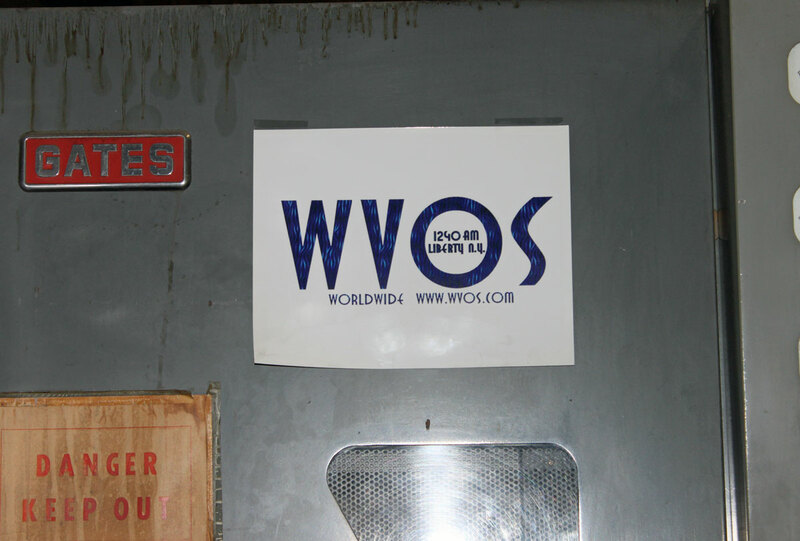 The call letters mean the “Voice Of Sullivan” county, where the station is located. Urban legend has it, the station’s claim to fame is that while Max Yasgur and Michael Lang were negotiating the use of Yasgur’s nearby farm for a music festival at the local diner, the diner staff overheard and called the radio station. Thus, WVOS-AM was the first to break the story of Woodstock. The station originally signed on the air in 1947 from this location with a power of 250 watts. At some point, the power was upgraded to 1000 watts along with all the other class C AM stations in the lower 48 states. The original building has been added onto and recently resided. An FM signal was added in 1967. These studios remained in use up to December of 2005, when the stations were moved into the co-owned WSUL studio facility in Monticello, NY. 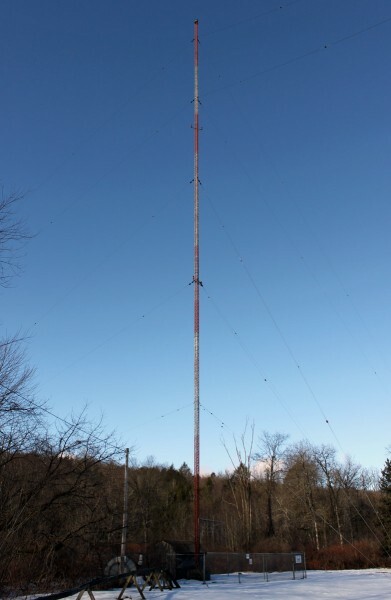 This is the original tower, which is 194 feet (59.16 meters) tall. As such, it is no longer required to be lighted or painted. 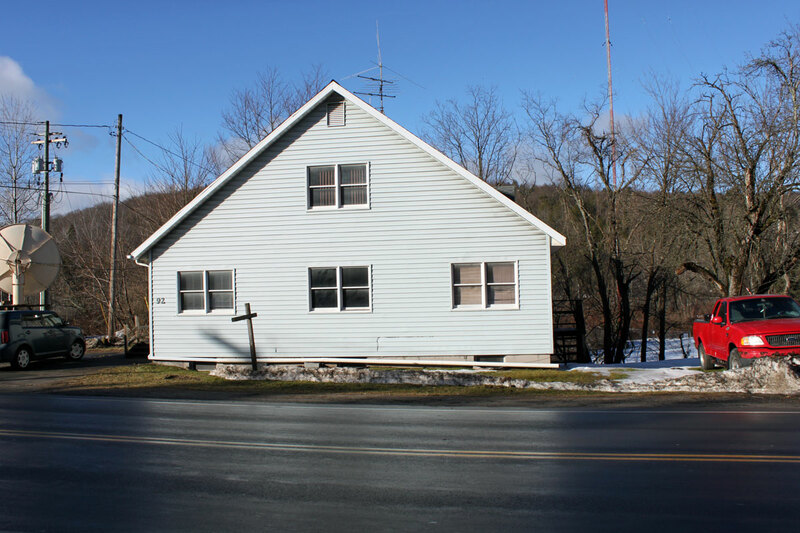 This is the tower that is on the right hand side of NY Route 17, just as one is entering the village of Liberty. The former studio building itself is in remarkably good condition. Often times, when a studio gets moved, the old equipment is abandoned, the heat is turned off and the place is shuttered. After years of neglect, these buildings are usually in very rough shape. Not so with this building. The transmitter is a Nautel AMPFET 1, short version. Its serial number 132, which, I don’t know the year of manufacture but I’d bet it was before 1990. 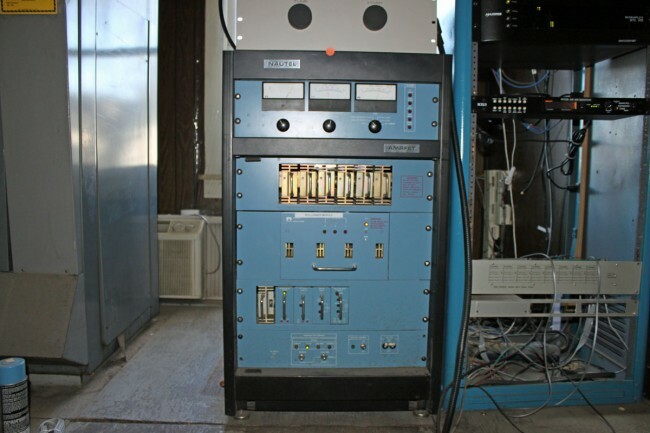 At some point, an add on matching unit was installed to better match the transmitter to the tower. In my mind, transmitter to antenna matching is best done at the tower with an ATU. I don’t know why the matching unit was deemed necessary. The backup transmitter is a Gates BC1T, made in 1968. The nice thing about these old tube transmitters is you can match them to almost anything. On more than one occasion, I have used a Gates BC1 series transmitter with a horizontal wire, while a tower was being replaced. It looks like the roof might have leaked onto this transmitter at one time. When I was there, the station was playing some sort of Hot AC format. There is no mention of the AM station on any company owned website. It appears to be changing formats often as several sources have it listed as either Spanish talk, ESPN sports or country music. Seems to be a throw away, at this point.